We hear that old phrase every year, and most years it is very true, however this year, the corn is clear to my elbows. 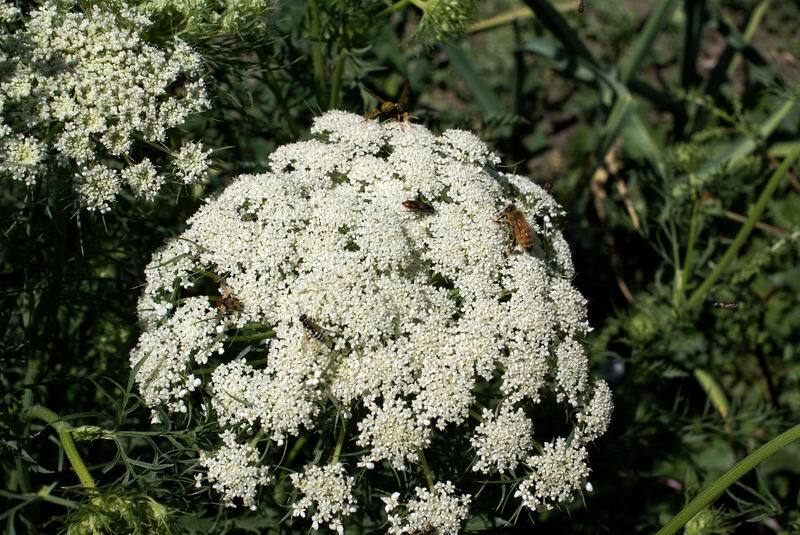 Carrot bloom, and the bees love it. 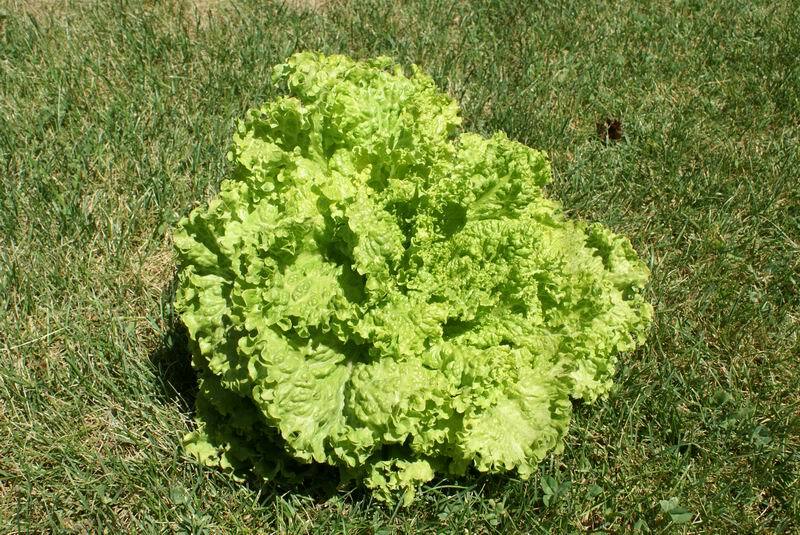 Nice lettuce. Still sweet in spite of 95 degree weather. Great pics! Mine is HEAD high! Lol. I have updated pics in my album pic below from a couple days ago. They are selling local corn here for several days. My few corn are ready to pick also! dtlove129 wrote: Interesting Jal, my carrots didn't bloom and I would think they would be ahead of yours. First year with carrots though, so they may not be in good shape and I just don't know it haha. Carrots are biennial. They grow the root the first year, bloom the second year. I have a carrot flower but for some reason the bees in my area don't care for it. That must have been some sorry corn "back in the day" to only be knee high by now. Most of the fields by me are 6', they might be 7 after the rain we finaly got last night. Different climate for sure. Most years we are not frost free until June. I can usually get away with planting corn May 5, but even then some years it gets frozen. 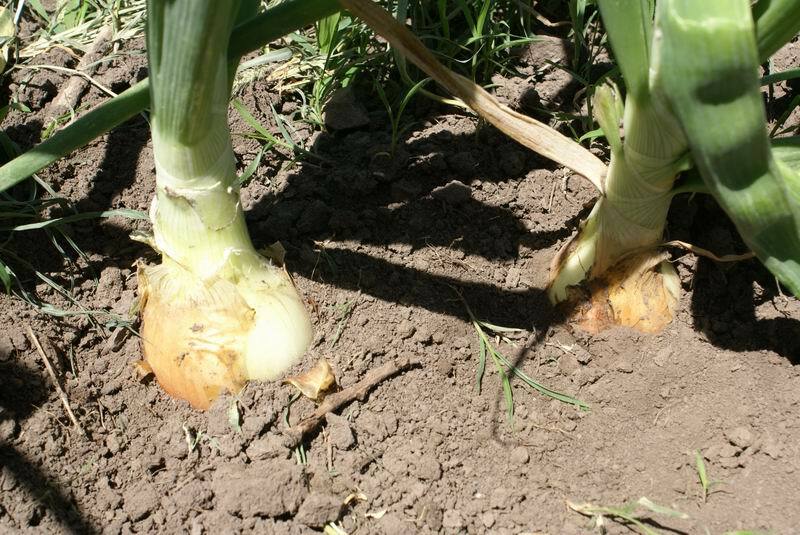 Corn is pretty resilient and will usually grow again even if the first leaves get frozen. Slows it down though when that happens. Very nice! A friend of mine has picked over 250 ears already! The carrot bloom is awesome! One of my carrots was starting to go to seed, big thick stalk and all. It must have been a freak, I just planted them this spring! I pulled it on a whim! It was starting to get a pretty nice sized root on it so I know where the rest of them are in the growth stage. jal_ut wrote: Different climate for sure. Most years we are not frost free until June. I can usually get away with planting corn May 5, but even then some years it gets frozen. 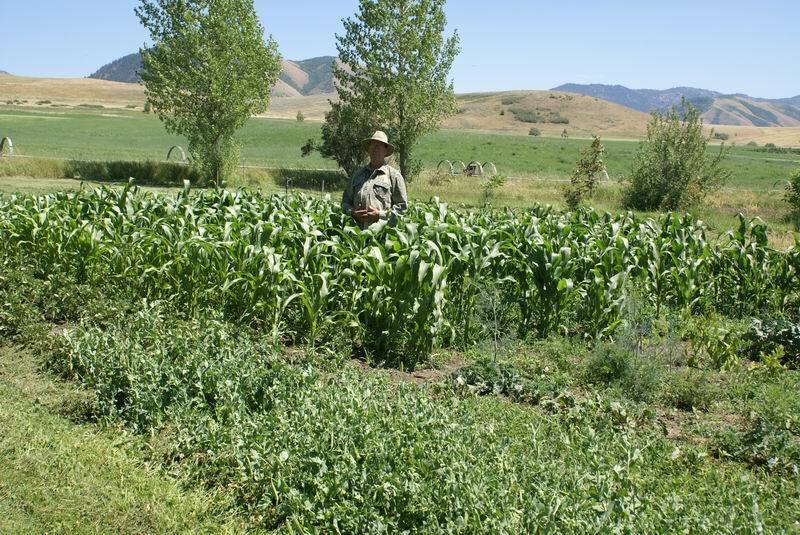 Corn is pretty resilient and will usually grow again even if the first leaves get frozen. Slows it down though when that happens. I was told by an old farmer as long as the plant has less then 2 leaves it can freeze solid and it will be fine. I don't know if there is any truth to it. Do you mean "more" than two leaves? Corn has more than two leaves almost from the moment it sprouts.